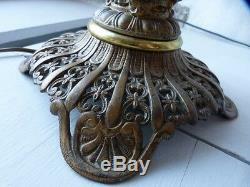 Large metal lamp with golden and natural patina. 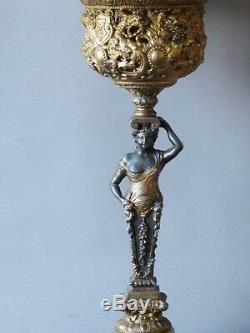 Base decorated supporting a gilded woman in the antique, then large cut pierced and worked. 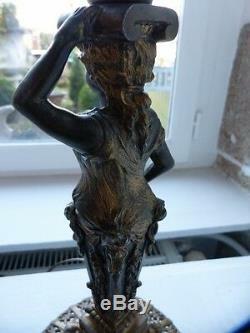 The patina shows flaking, white marks in places. Delivery 18 euros in France, 35 euros in Europe and 60 euros rest of the world. 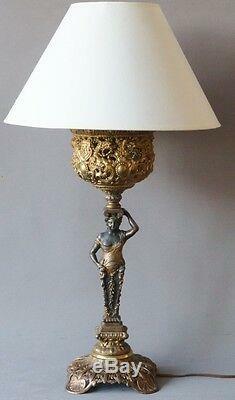 Width: base 17 cm diameter: lampshade 40 cm height: metal 49 cm, total 70 cm. Put your items on sale quickly and easily, and manage your ads in progress. 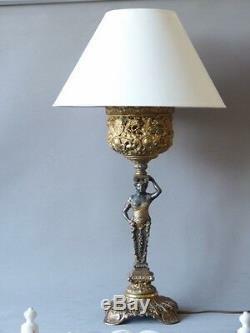 The item "large metal lamp, draped woman, late nineteenth time" is on sale since Saturday, December 17, 2016. 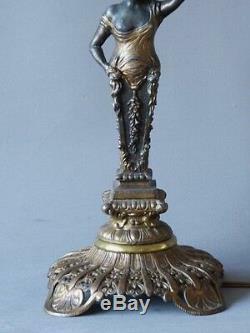 It is in the category "art, antiques \ furniture, decoration xix \ lighting, lamps". 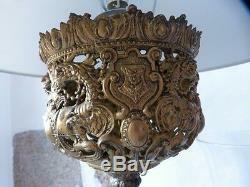 The seller is "legrenierdaugustine" and is located in / in cognac forest. This item can be shipped to the following countries: America, Asia, European Union, Australia, Switzerland.